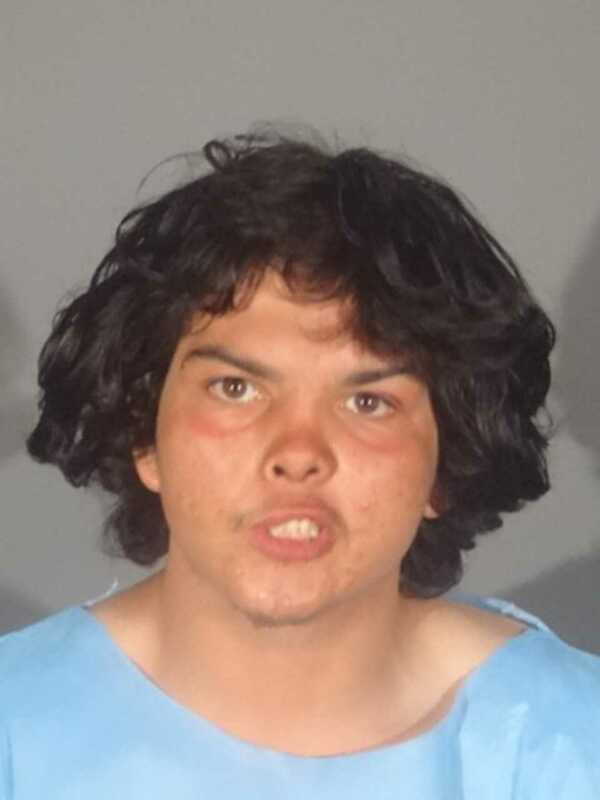 Joseph Ramirez Perez was arrested for fatally stabbing a man near Tongva Park on October 3. Photo courtesy of the SMPD. SANTA MONICA—The Santa Monica Police Department arrested a possible suspect in connection to a homicide. The SMPD confirmed to Canyon News that the suspect has been identified as Joseph Ramirez Perez, a 21 year-old male. On Wednesday, October 3, at about 8:12 p.m., officers from the SMPD responded to a radio call for service at Tongva Park located at 1615 Ocean Avenue about an assault with a deadly weapon. First responding officers located a male victim on a park bench suffering from a stab wound. Officers spotted Perez running away from the crime scene and were able to detain the suspect. Paramedics from the Santa Monica Fire Department arrived on the scene to treat the victim and transported him to a local hospital. The victim, who has not yet been identified by police later died at the hospital while being treated for injuries he sustained. SMPD Detectives arrived on the scene to begin an investigation. A preliminary investigation revealed the victim may have been sleeping on a park bench prior to the assault. The victim suffered a single stab wound to the abdomen area. Perez was placed under arrest. Any possible motive and actions leading up to the assault remains under investigation. Canyon News spoke to Lt. Saul Rodriguez via email about the incident. When asked if the suspect had a prior criminal record, Lt. Rodriguez indicated that Perez was previously arrested for assault with a deadly weapon. He noted the latest attack is not believed to be connected to the individual who attacked and murdered several homeless people in the Santa Monica region. “This appears to be isolated,” said Lt. Rodriguez. Lt. Rodriguez informed Canyon News that the weapon used by the suspect in the stabbing is still under investigations. Perez was booked for 187(a) PC – Murder; and 245(a) (1) PC – Assault with a Deadly Weapon. He remains in custody at SMPD Jail with a bail of $2 million pending future court proceedings. The case will be presented to the Los Angeles County District Attorney’s Office-Airport Division Courthouse on Friday, October 5 for filing consideration. Anyone with details related to the incident is asked to call Detective Goodwin at (310) 458-8942; Detective J. Rodriguez (310) 458-2233; or the Santa Monica Police Department at (310) 458-8491.